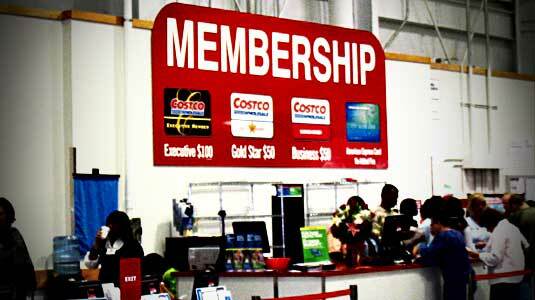 If you haven’t heard yet, your Costco membership fee is rising 10%. Beginning November 1st, 2011 for new members and January 1st, 2012 for renewals, the new prices will be $55 for Goldstar and Business members and $110 for Executive members. This increase will impact U.S. and Canadian memberships. This was revealed at the same time that Costco announced their fourth-quarter profits had missed analysts’ expectations, causing some to wonder if it was forced by the allegedly greedy board of directors wanting their stocks to grow. I don’t think this was the case at all. We have gone five years without a membership price increase, and operating costs are a lot higher now than then. If you haven’t heard, it has also been announced that the long time Costco CEO Jim Senegal has announced his retirement, and will be replaced by COO Craig Jelinek. Some are saying the membership fee increase is all Jelinek’s doing and this is one of many changes to come now that our beloved Senegal is out. Truth is, Jelinek won’t take over until January 1st, and Senegal will still be on the board for at least another year. And beyond that, from what I’ve read, Jelinek is a great like-minded leader that has been at Senegal’s side for the past 10 years and with Costco for 28 years now. For some good news, it was also announced that the Executive Membership rebate cap was increased from $500 to $750. All in all, I think the fee increase will help to keep product prices from rising, so the more you buy the more you will get out of this increase. What are your thoughts? Are you okay with the increase or will it cause you to drop your membership? It’s not much of a bump so I won’t give up my membership. If the quality of products changed or the fees were increased greatly, I would have to reconsider. It’s too bad we can’t buy several years of membership at a time. wouldn’t be much of an increase IF Costco wasn’t raising prices on almost everything from nuts to butter to eggs. Have seen pistachios go up 20% in the past 2 years. Cheese up 15%. Personally I think its the wrong time to increase prices. As you can see when merchants increase there prices even ever so slightly in a squeezed economy customers feel resentment and disdain. Everybody is pinching pennies and feeling the pain of this economy so why does profits have to increase? As for whether we will leave Costco that’s a battle I’m not ready to have with my husband since this is his only “playplace”. I would be curious what our membership goes to and for? Winco a cash only grocery store does not have a membership fee and has some of the lost prices in the Northwest for food. So why does costco charge a fee? Most likely because they can and consumers will pay the fee with out questioning why the increase. I think a $100 a year is plenty for membership. Don’t raise the fee. I’ll just downgrade my membership. $100. is enough. This is not a great time for membership increases. I’m watching prices and Target and and Marcs are very close at matching prices during sales at smaller quanities but added together the price is the same. It helps to even out income monthly to buy smaller quantity and not waste gas to go all out to Costco. It is the variety of products that Costco has going for it right now but I can sacrifice that for ther need to have items I can get at same price closer to home. Too much. I’m keeping BJ’s and have already dropped Costco as of Jan 1st. Funny because I’ve read people will just ask for the refund each year, which is disingenuous, but they claim they get away with it and re-join? I’m not going to sink to that level, but I can’t pay $55 for the privelege of giving my business. Not worth it in the big picture.